This year, Zara has thrown everything it's got into one trend, and for once, we're not talking about basket bags or gingham. It seems like every single week Zara has another long, sweeping kimono robe in the new-in section. And when you type "kimono" into the search bar, there are currently a whopping 78 results. A silky dressing gown might not strike you as the most practical purchase, but the kimono takeover on Instagram provides plenty of inspiration for how to wear them out of the house. The Insta set is wearing them unbuttoned—or loosely fastened—and layered over a pair of ankle-skimming jeans with a T-shirt, sandals and a basket bag. This is one of those trends that seems to have been fueled by Instagram likes, as a picture of a Zara kimono posted on Who What Wear UK's page is one of our most popular Instagrams to date. 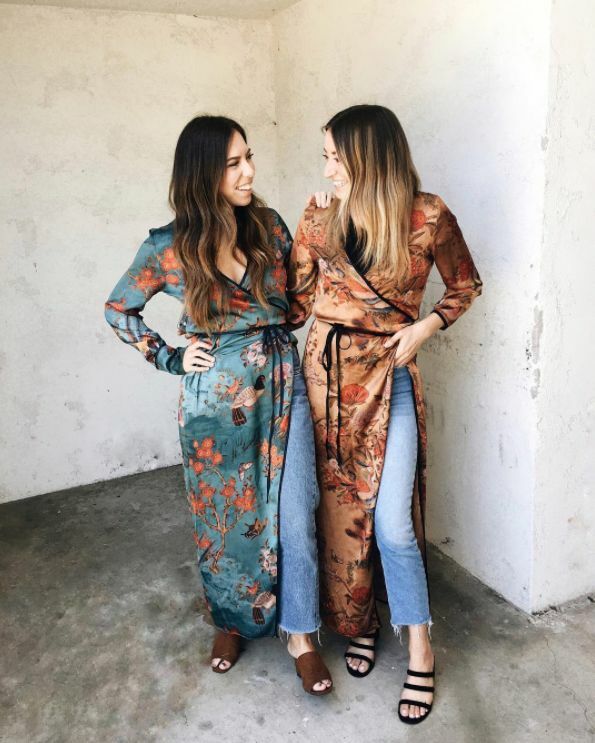 Lauren Eggertsen, Who What Wear associate editor and resident Zara expert (she runs @TheDevilsWearZara alongside Who What Wear social media editor Mimi Postigo), tells me: "Kimonos have been a huge trend this year, and unsurprisingly Zara was one of the first fast-fashion retailers to jump on it. I think kimonos gained so much popularity because they're incredibly easy to wear. You can throw one on over a T-shirt and jeans, or layer one over a dress, and your outfit is instantly elevated. Everyone loves pieces that make them feel fashion-forward with minimal effort, and kimonos do exactly that." Scroll below to shop a selection of the kimonos that are still in stock below. Next up, how to get a whole new holiday wardrobe for less than £250.